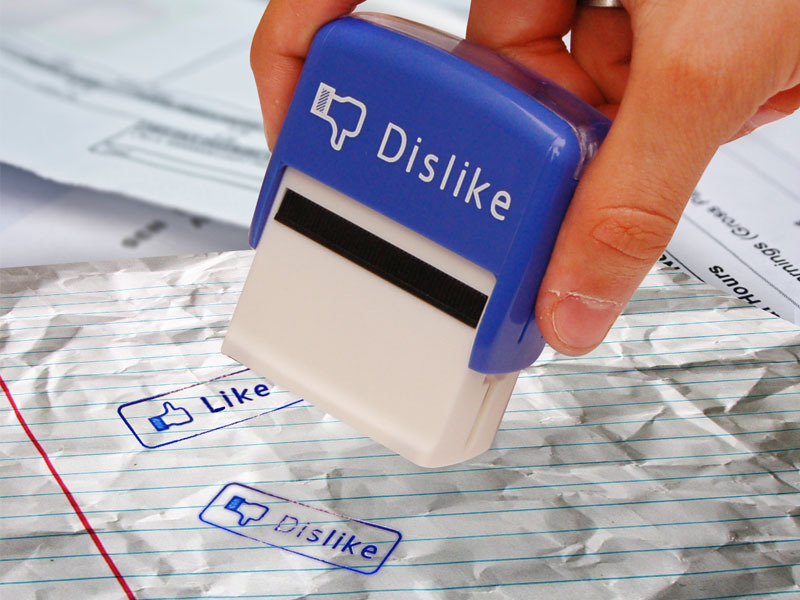 Print your stamp on everything, like a true Facebook fan! Would you like to have a "Like" and "Dislike" button in your day to day life just like Facebook has? No more endless declarations if someone asks you for your opinion: you like it or you dislike it. Nice 'n short, simple and efficient! Why not reverse the roles for a change? Now we can bring our digital life to our real life for a change instead of the other way around. 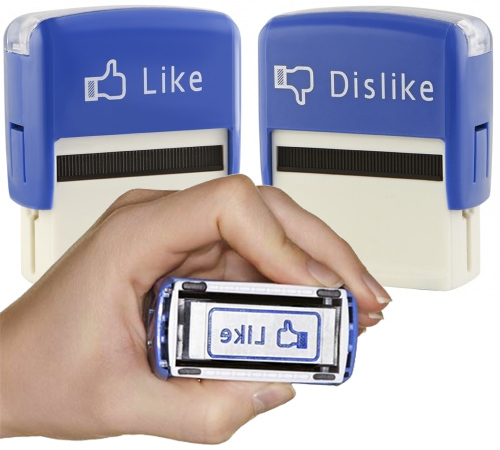 May we introduce to you the Like & Dislike stamps? From now on you can let your opinion be heard in the offline world. The Like stamp is perfect for tickets to your favourite band, or a packet of your favourite cookies. 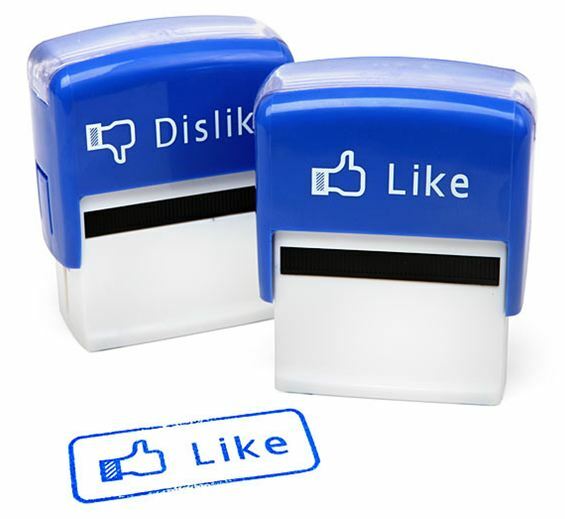 But thanks to these stamps you'll also have a Dislike option: for low grades, parking tickets and tax bills. The stamps are self-inking and contain enough ink for over 5000 opinions, so no opinion has to go left unsaid. The No. 1 gadget for the interactive Facebook generation: see, find & stamp away!